With over twenty-five years of professional design experience, you can expect excellence from Amato Design. Bryce is a master of color, a guru of creativity, and virtuoso of interior design. Perfecting the way you harmonize with your world, his high-quality designs are timeless in both function and form. Architecture serves as the vehicle of personal expression for both the client and the Architect. It is a constant rediscovery of human qualities translated into three dimensional form and space. The design process seeks out to address the personal, the practical and the idiosyncratic needs of the client and the peculiarities that make a place or marks a special circumstance. The parameters of the clients program and unique qualities of place help to form the ground work to reinterpret or augment these factors into a procession of movement through built space, explore the tactile or material side of the structure with a sense of intuitiveness in proportions, volumes, textures and color which gives architecture an emotional authenticity and buildings that are felt and experienced as much as seen. For over twenty five years Farhad Ashofteh has designed numerous commercial and residential buildings, and has been involved in many privately and publicly funded new construction and rehabilitation projects. Ashofteh received a Bachelor of Science in Architecture from the University of Nebraska In Lincoln, and a Masters of Architecture from California Polytechnic State University in San Luis Obispo. He received his post-graduate Certificate of Specialization in Architecture and Urban Planning from the University of California in Los Angeles (UCLA). He then joined Urban Innovations Group, the practice arm of the UCLA's Graduate School of architecture as the Resident Architect in 1983. While teaching and training graduate students, he worked with Architects such as Charles W. Moore, Edgardo Contini, Rex Lotery, Frank Gehry, Richard Weinstein, and many others, on many national and international institutional, commercial, residential, and urban planning projects. Ashofteh started his solo career in 1993. His architecture firm is dedicated to approaching architecture as the synthesis of pragmatic and semantic elements. Each project is designed with a purpose: to go beyond the essence of shelter into the realms of timeless forms and spaces. Timeless in the sense of tradition, not as custom or habit, nor a transient style of a passing era, but timeless as the guiding principles of a society that endures the test of time. Backed by years of experience and advanced education Farhad Ashofteh, offers a diverse foundation for planning, design, and production of a wide range of projects including governmental, institutional, residential, industrial, and commercial buildings. Deeply inspired by the contemporary, vernacular architecture of his South American childhood, Juan Felipe’s goal is to create an architecture that transforms space while maintaining its integrity with the environment. Interested in design that outlasts momentary trends, he strives to create environments that nurture and elevate while carefully meeting the needs of his clients. Integration of natural materials with the best in structural design is also primary. Juan Felipe Goldstein Design Inc. has been featured in the Colombian design magazine Revista AXXIS and Revista Habitar 2002 and 2004, the catalogue of the Architecture Biennial published by the Colombian Society of Architects. Other credits include a feature on the Neunsigner Residence published in House Beautiful, and the books Decorate 2011 and Shabby Chic Interiors published by Cico Books. 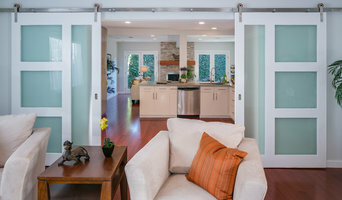 Architect specializing in custom residential design and commercial Architecture. Ferrugio Design + Associates is an international design firm with an extensive portfolio of hospitality and high-end residential projects for the world’s leading companies, brands and Forbes Top Billionaires. In the last decade, founder Joseph Ferrugio and his team, have been recognized by numerous organizations, professionals, and peers for creating innovative conceptual spaces that revolve around modern functionality. Since 2006, we have specialized in high-end custom residential architecture and interiors. Our partners have been instrumental in the growth of leading architectural design firms. The projects we have worked on have gathered numerous awards, and have ranged stylistically from traditional to contemporary. You can find our projects throughout the world from the US to Asia, Europe and the Middle East. I am the principal of Naomi Langer Studio. 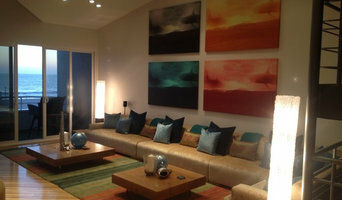 We specialize in warm modern residential work in Beverlywood and throughout Los Angeles. The commercial work includes the renovation and expansion of an Equinox in West Hollywood and the restoration of B'nai David Judea Synagogue in Los Angeles. My office won a design award for the B'nai David project. For an established architect in Irvine, CA, who has experience designing contemporary and classical buildings alike, look no further than Jay S. Crawford, A.I.A. As a locally owned and operated architecture firm, we know how to create spaces that meet your aesthetic and functional needs. Our team is extremely personable and accommodating, and our ultimate goal is to bring your project to fruition just the way you want it. When you come to us with your ideas, we will guide you throughout every phase of your project. Whether you wish to build a large or a small space, the attention to detail and quality of our work will be consistent throughout every project we handle for you. Jay S. Crawford, A.I.A. 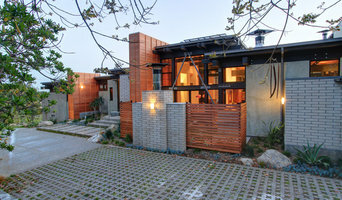 is a highly respected and sought-after architect in Greater Orange County. We're committed to keeping the lines of communication open with our clients, and we welcome constructive feedback to make sure we meet your expectations. Contact us today here to find out more information about our services. Janet Metson Urman is a licensed architect who received her B.A. from UCLA and a Masters in Architecture from Southern California Institute of Architecture. Her residential designs reimagine the vocabulary of the Southern California lifestyle through a modern architectural lens. Metson Urman Architecture provides complete architectural services from as-built documentation through construction administration. Interior and landscape design services are available also. Janet has longstanding experience with government agencies, and a cohort of skilled contractors and craftspeople. 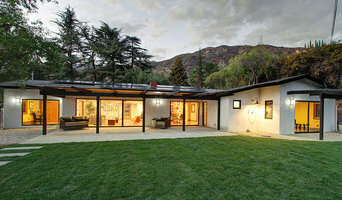 Janet’s design aesthetic is based on the belief that the unique qualities of each site, house, and client inform the architectural response to a particular design problem. A successful project is one that blends functional programmatic needs and the complex details of modern life to create a beautiful, memorable home suited to the climate, landscape, and culture of contemporary California.